Subway has always been my favourite meal when I'm in the hurry or can't make up choices on a place to have lunch. 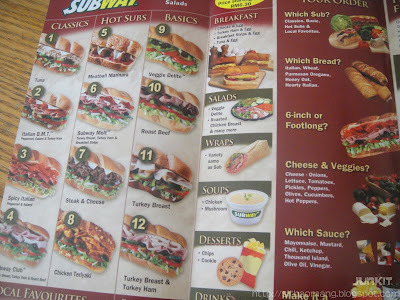 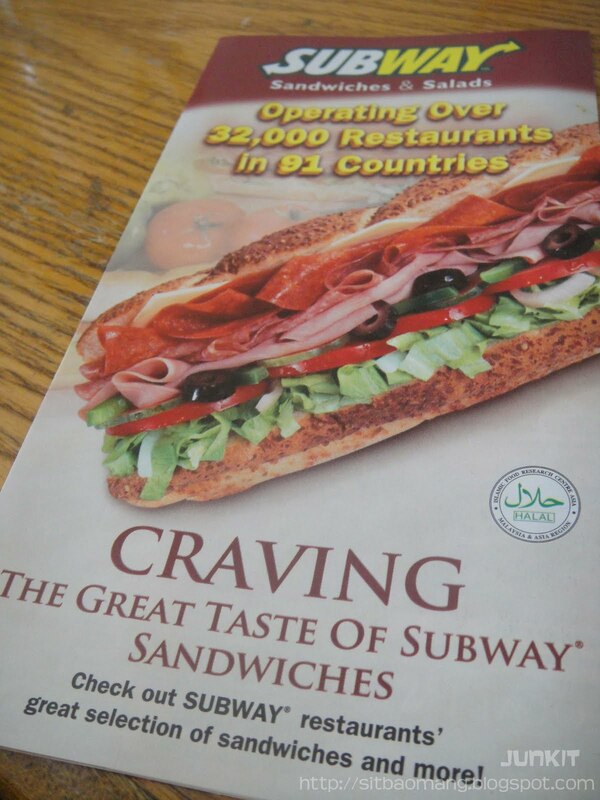 Healthy, fresh and it's extensive menu means that I could choose and create different subs to my liking. 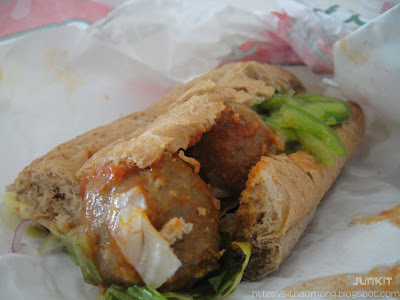 After trying out almost all of them, I would say I loved the Italian BMT sub the most. 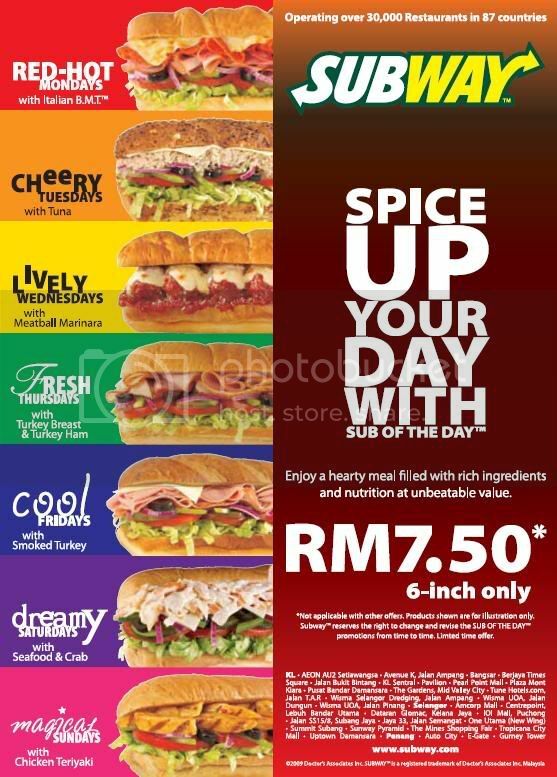 (Image taken from Malaysia Food Promotions).